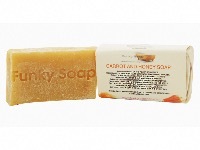 THIS IS A RICH NOURISHING SOAP MADE WITH REAL GOJI BERRIES AND COCONUT MILK. GOJI BERRIES ARE RICH IN VITAMINS, MINERALS AND HAS ANTI AGEING AND ANTI INFLAMMATORY PROPERTIES. IT WORKS WONDERS ON DRY AND TIRED SKIN LEAVING YOUR SKIN FEELING NOURISHED AND MOISTURISED WITH THE HELP OF SHEA BUTTER , COCOA BUTTER AND COCONUT MILK. 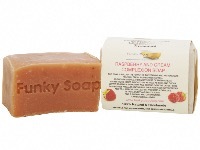 THIS IS A VERY CREAMY, MOISTURISING AND CONDITIONING SOAP MADE WITH THE AMAZING MARULA OIL. MARULA OIL HAS BEEN PROVEN TO BE ANTI-AGING AND HYDRATING, DUE TO THE HIGH LEVELS OF ANTIOXIDANTS AND VITAMINS, BOOSTING THE SKINS ELASTICITY. IT ALSO HAS HIGH CONTENT OF SHEA AND COCOA BUTTER, TO KEEP YOUR SKIN NOURISHED. THIS SOAP IS FILLED WITH THE POWDER OF VITAMINS AND ANTIOXIDANTS FOUND IN FRESH RASPBERRIES INDULGENCED IN FRESH CREAM. RASPBERRIES ARE KNOWN FOR THERE ANTI AGEING PROPERTIES AS IT WILL IMPROVE BLOOD CIRCULATION IN YOUR SKIN WHILE GENTLY EXFOLIATING. IT ALSO HAS HIGH CONTENT OF AVOCADO OIL , SHEA AND COCOA BUTTER, TO KEEP EVEN THE DRIEST SKIN NOURISHED AND CONDITIONED.